Rick Yancey (www.rickyancey.com) is the author of the New York Times bestseller The 5th Wave, The Infinite Sea, several adult novels, and the memoir Confessions of a Tax Collector. His first young-adult novel, The Extraordinary Adventures of Alfred Kropp, was a finalist for the Carnegie Medal. In 2010, his novel, The Monstrumologist, received a Michael L. Printz Honor, and the sequel, The Curse of the Wendigo, was a finalist for the Los Angeles Times Book Prize. When he isn't writing or thinking about writing or traveling the country talking about writing, Rick is hanging out with his family. "A modern sci-fi masterpiece... should do for aliens what Twilight did for vampires." *"Yancey's heartfelt, violent, paranoid epic, filled with big heroics and bigger surprises, is part War of the Worlds, part Starship Troopers, part Invasion of the Body Snatchers, and part The Stand . . . a sure thing for reviewers and readers alike." "This is DAMN and WOW territory. Quite simply, one of the best books I've read in years." 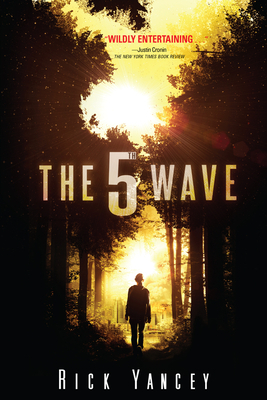 "Breathtakingly fast-paced and original, The 5th Wave is a reading tsunami that grabs hold and won't let go. A postapocalyptic alien invasion story with a smart, vulnerable heroine." "A fantastic read. The 5th Wave is an electrifying page-turner." "Prepare to set everything else aside when you launch into this one. The break-neck pace and high stakes will draw you in, but it's the characters who will keep you turning pages. It's been a long time since I've read a story this compelling."